Why ‘Firefly’ shouldn’t be given a kickstarter back onto our screens. One of the most talked about things that happened in Geek/Film/Internet news this past week, is that a Veronica Mars spin-off film has been greenlit, based on fan reactions (and donations) to a crowd-sourcing project started by the TV show’s creator Rob Thomas. Although hardly the first film to get started this way, it is by far the most well known, which is probably the most important factor for it breaking the record to be the fastest $1m dollar earner, which it achieved in less than five hours. Because of this, it is not unexpected that people have started to look at it with some suspicion, if not doubt. Will the fans get anything extra in return for their investment, or is their devotion just being exploited? 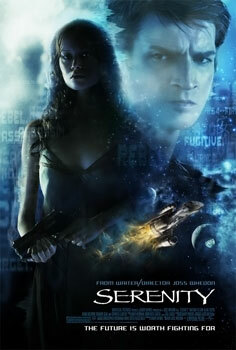 The feature film ‘Serenity’ was unprecedented in its creation from a cancelled TV series. It is also hardly surprising that fans of other cancelled TV series and movie franchises are also wondering what it could mean for the objects of their own affection, none more so than the so called ‘Browncoats’: Fans of the TV series Firefly, who have taken their name from the Independents of the series, a passionate army fighting against the all powerful Alliance. As I have mentioned in a previous post, Firefly was an extremely short series which, thanks to the tenacity of creator Joss Whedon and the devotion of fans, was picked up by Universal Studios, and the feature film Serenity was born. Somehow Firefly had done the impossible. There are whole numbers of long lived series that can only dream of making it to the big screen, and Firefly had done it after just fourteen episodes? Fourteen episodes that FOX hadn’t even broadcast in the right order, three not even at all during its initial run. Serenity was a massive success in just getting made, but was only less than mildly successful at the box office. Whilst fans went to see it in their droves, the general audience went there only generally. Despite the Hugo for Best Dramatic Presentation (Long Form) being just one of the many awards it received, not to mention reaching the #2 spot at its opening weekend at the box office, the film wasn’t all that Universal had been hoping for. Like the series that preceded it, it was DVD sales that would be its economic lifeline, but they were still not enough to greenlight even a TV movie, let alone the two cinematic sequels to complete the “Big Damn Trilogy” fans were hoping for. Serenity was made back in 2005, Firefly was first (partially) broadcast and cancelled in December ’02, and only the small number of comic book mini-series and one-shots that have been published is all that the Browncoats have heard from the Firefly ‘verse in all this time. Needless to say, fans’ hopes and expectations are a constant up and down, hanging on to anything Whedon and the rest of the cast and crew have to say on the matter. Speaking as a fan myself, I have to say that, in my opinion at least, Firefly is dead. And it should stay that way. For those of you who haven’t left in disgust, I’ll explain why. As I mentioned, the series was cancelled ten years ago. 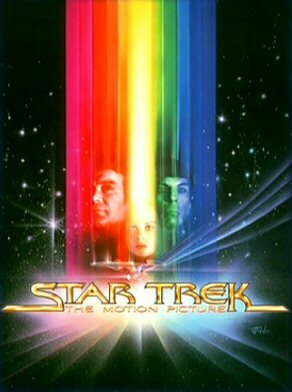 I don’t know if anyone else has ever seen a film based on a series that’s been gone for ten years, but I have, and I didn’t find Star Trek: The Motion Picture that interesting. [Dammit, Twitter has just directed me to Jane Nelson’s blog on SFX.co.uk, where she’s saying exactly the same thing. Whilst she’s talking about a variety of shows though, allow me to carry on with Firefly in more detail]. Looking at this properly (and in more detail than Nelson), Whedon is busy for at least the next three years, and even then it seems as though Dr. Horrible 2 gets first dibs on his constantly busy schedule. In her blog Nelson says many fans think Whedon should hand over the reigns to someone else, but a Whedon-less project also has the potential to anger as many fans as the initial cancellation. Assuming fans would compromise with someone else producing and directing a Whedon written script, he still wouldn’t have time to do even that. Also, there was speculation of the sequel to Dr Horrible’s Sing-Along Blog, Whedon’s online project during the Film & TV writers’ strike, being a feature film even before Whedon was attached to the Avengers. There were also reports of the story outline and even songs, had already been written. If we were to assume the already in the works Avengers 2 makes it to screens in the Summer of 2015 (which is pushing it), and the Doctor Horrible 2 script already to go, the very earliest it could be released is Christmas ’15. Bear in mind this is taking Whedon’s ability to juggle projects to max, and assuming there are no other problems in Neil Patrick Harris, Nathan Fillion, (and Felicia Day?) finding room in their busy schedules. Very (very very) vaguely possible, but still highly unlikely. If (again, very big if) this happened, the earliest we could expect Serenity 2 is Christmas 2016. With his own passion for the project it is not something that Whedon would allow to be rushed, just the knowledge of knowing it was being made would placate fans enough for it to be given the time it would need, and I doubt Universal would give it priority in their summer blockbuster schedule anyway. Remember how I said Firefly was cancelled in December ’02? That’s fourteen years difference. As Nelson (damn you and your being paid to write!) points out, that’s a big difference. Too much of a difference to pick up where they last left off, and no-one wants to see them still in the same place. When you consider the character of River Tam was 17 years old, she’d now be 31. Hardly the crazy and mischievous teenager she once was, the fact that actress Jewel Staite was even younger only complicates things further. ‘Star Trek: The Motion Picture’ was released ten years after ‘Star Trek’ was cancelled. But rather than carrying on the hypothetical situations, lets go back to that comparable TV/Film series, Star Trek. Like Firefly, Star Trek was unappreciated in it’s own time, and much like Serenity, a fan campaign was needed for season 3 to be commissioned, when NBC cancelled it after only two. It was during syndication that it achieved the major popularity it is recognised for today, but with people finding it only after it had been cancelled, again the only ‘official’ stories were hand drawn, with Star Trek: The Animated Series producing 22 episodes in 1973-74. The Motion Picture was finally released in ’79, ten years after season 3 originally aired. What started as the pilot episode to what would have been Star Trek: Phase II, it was a massive hit with fans, but only mildly popular with the critics. Looking back it isn’t exactly seen as one of the best Trek films, and it’s sequel The Wrath of Khan performed so well thanks in part to the replacement of Gene Roddenberry with a newer, and more objective creative team. Headed by producer Harvey Bennett, together they had the insight to acknowledge the character’s age, putting fearless Captain (now Admiral) Kirk in the middle of a mid-life crisis. Whilst fans would find this a not only plausible but also hilarious situation for Captain Malcolm Reynolds, by now he would surely have been pushed beyond the raggedy edge, and his crew scattered to all corners of the ‘verse. And it’s not as though it could have an emotional/unexpected Spock style death to end on a (dramatic) high with either, thanks to both Book and Wash having already suffered that fate. Yet another obstacle for new Firefly projects to overcome. This ousting of Roddenberry to the role of “consultant” in the first place wouldn’t have been sacrilegious to the fans, even if it was disappointing. Despite being the shows creator, Roddenberry himself jumped ship during the show’s third season and remained executive producer in name only. As a TV show its three seasons were crafted by a range of extra writers brought in, Whedon’s Buffy The Vampire Slayer and Angel also worked this way like nearly all US shows, but Firefly was never given the chance. The creative team was kept to a core of only a few members, and as mentioned before, any Whedonless project could split fandom wide open in a manner not seen since The Phantom Menace. A film which itself is a warning to leave the long gone, well alone. Actors and characters aside, it’s also the audience who have grown. Whilst I was aware of it when it was released, I didn’t see Serenity until a screening at my University’s Students Union. This would have been around the time of the DVD’s European release, and I got into Firefly from that. I’ll admit I was late to the party (sorry! ), but there is now a whole generation younger than me who are even later. Despite DVD and now Blu-ray keeping the series alive for new audiences to find all the time, it’s fair to say that the majority of people younger than me are too young to remember it first time round, even if it isn’t their fault. Even as a film student, Serenity is the best example that I can think of, of exposition aimed at audience members that are both new, through to those with encyclopedic levels of knowledgeable, simultaneously. In today’s climate of ever increasing, and attention seeking, media, relying only on word of mouth (and blogs) will never be enough to keep up, and many of today’s teenagers simply won’t be interested in something that’s ten years old. I can’t even imagine 2016’s teenagers being even remotely interested in something that would be older than they are. Between many older fans’ incessant expectations, and newer audiences’ ambivalence, the stakes just seem to high to live up to. So what about Serenity: The Next Generation? Despite featuring only one solar system compared to Star Trek‘s entire galaxy, there is still a whole host of other ships and crews out there, many in similar situations. What about a fresh start for the ‘verse featuring one of those? For a start, the actual Next Generation is more than just what Phase II would have been, and Decker/Riker & Ilia/Troi aside, the differences outweigh the similarities. Not only is the whole show is set in the next century, there’s even a Klingon on the starboard bridge console! While retaining the same exploratory spirit of the original, it’s more than just another crew on another ship, because it needed to be something different. Although Data is not so far removed from Spock (the two of whom finally meet in Unification part II, a conversation which doesn’t disappoint), there is a difference between the same roles and same characters. Picard may hold the same rank as Kirk, but has a far more diplomatic way of going about it. 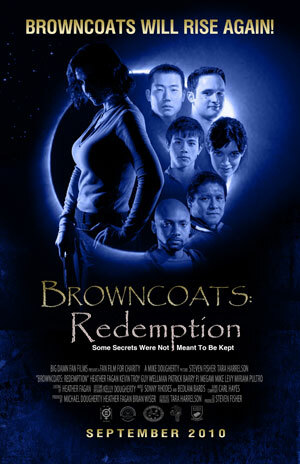 This different crew approach was when the 2010 crowd sourced fan-film Browncoats: Redemption was released, which featured a cameo from Adam Baldwin and reportedly received a “blessing” from Whedon himself. Although the project has raised money for many different charities and is given respect for the undertaking involved, it hardly filled the gap many fans still felt was missing in their lives. Unlike in any Star Trek, the mercenary crew of Serenity are so much more than a militaristic unit, and it is the characters and relationships that made Firefly what it is. Just as any ‘reunion’ movie wouldn’t likely work for the reasons outlined above, Redemption was criticised by some fans for trying too hard and following the original too closely. This is an obstacle that even a new Whedon created crew would also have to tackle, and anything too different seems almost beyond waiting for. By 2016 I’m sure Whedon’s clout in Hollywood would be enough for those writing the cheques to greenlight anything he wants. As much as passion is needed to create a film that works, rather than creating a film because “If I don’t, it’s the only thing I’m ever going to be asked ever by anyone“, I believe fans should instead be asking for original stories in new universes. Whilst I’m sure the above quote was said with the zany sarcasm present in most of Joss Whedon’s interviews, he has a very real point. Yes I would have loved Firefly to have continued rather than be cancelled, and by all means please do give us more comics. But by now the on-screen adventures of Serenity and her crew are long gone, and any continued efforts to bring them back just seem like flogging a horse that is dead as Browncoats’ hope should be. Like so many others, as a huge fan of Whedon’s, I continually can’t wait for his next projects. The general release of Much Ado About Nothing can’t come soon enough, I’m sure The Avengers 2 will be just as breathtaking as the first, and I can’t wait to see Doctor Horrible again, but original or not, these are all projects that Whedon and co. have already started working on. While too many Browncoats are waiting impatiently for the box office success of Veronica Mars: The Movie to bring their dream that one step closer, my time will be better spent specualting on something else. Whedon is not just a writer, he is a creator. Thanks to the fruits of his creative genius, a teenage girl not only saved the world several times over, but reshaped the landscape of American TV while she was doing it. A crew of mercenaries instilled so much passion in fans that they actually achieved their goal of getting a feature film produced from a TV series cancelled during its first season. These are feats that are unprecedented, and cannot be overstated enough. And I for one am eager to know what game changing universe Joss Whedon will create next. This entry was posted in Fans, Film, Nostalgia, Television and tagged Firefly/Serenity, Joss Whedon, Star Trek by Ian. Bookmark the permalink.